Hours of operation Sunday-Thursday, 5 p.m. to 11 p.m. Friday-Saturday, 4 p.m. to 5 a.m.
Music Music from a diverse selection of DJs. Resident DJs Information not available at this time. 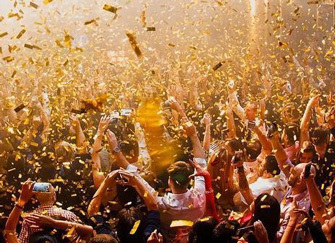 With many highly successful venues beneath the belt of the crew at the Los Angeles-based restaurant, hotel and nightclub group SBE, it was exciting news when it was announced they would be brining their first Las Vegas nightclub to life. 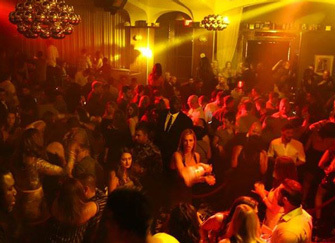 Using the classic Bellagio as the new club’s stomping ground, Hyde would have to be more than just a room filled with booming music and strobe lights. It would have to be sophisticated and clean, entertaining while slightly soft-spoken. 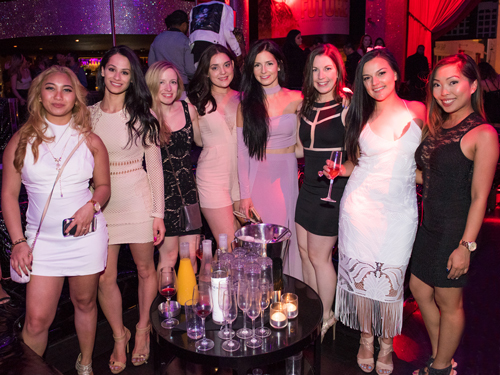 At its grand opening on New Years Eve, Hyde proved to be all of those things and more. 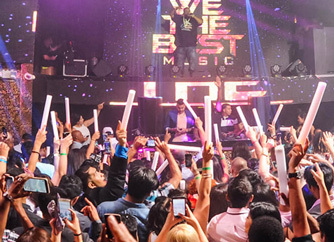 To successfully create an atmosphere of sophistication that can attract the guests in a party-centric city like Las Vegas is no easy feat, but the SBE crew was able to pull it off flawlessly. The Tuscan Villa décor lends a light feel to the club, the scattered marble tile, elegant chandeliers and various paintings lending themselves to the overall feel of the club. At first glance of the club’s intricate decor, it’s hard to believe that the space was not transported directly from classical Italy. Hyde takes on two forms during the course of a regular night. Starting at the evening hour of 5 p.m., the Living Room opens its doors to the cocktail hour crowd. The earlier hours makes Hyde the perfect pit stop for those lined up to catch a late night show on the Strip. 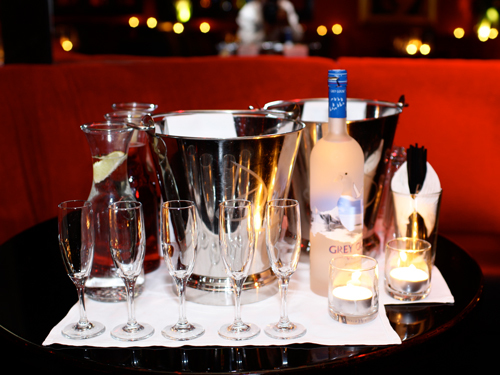 A vast listing of expertly mixed beverages and a menu of tapas delicacies from the nearby Sirio Maccioni restaurant, Circo, compliments what already looks to be the perfect evening. Once the clock strikes ten, the remaining doors of the club open up into the Grand Salon and the vibrant Tuscan Garden. 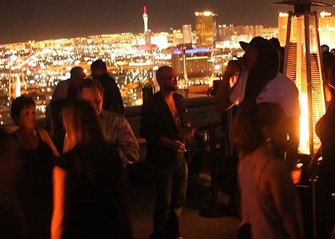 This nightclub strays away from the norms that have become popular in Sin City. Rather than relying on a booming bass, the house DJ works with softer tones that actually allow for friendly conversation. 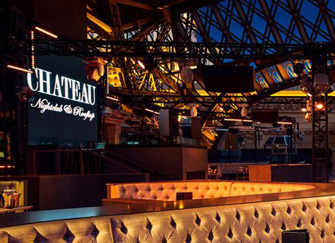 The typical strobe lights are replaced by soft glows that emanate from polished chandeliers. The best part about Hyde is not what can be found inside its doors or on its refreshing balconies, but what lies right outside the venue. No matter where you may find yourself in the club, you’ll find a first rate view of the famous Fountains of the Bellagio. 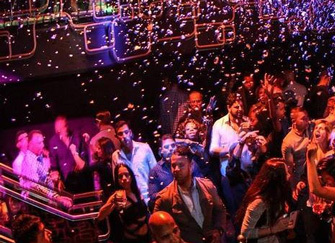 Even at any of the club’s 40 VIP tables, this world renowned water show adds a bit of the theatrics to what Hyde already has to offer. At night, the soft lights that radiate from the water show bask Hyde, rounding off that Tuscany feel with the relaxing look of the moon’s glow. 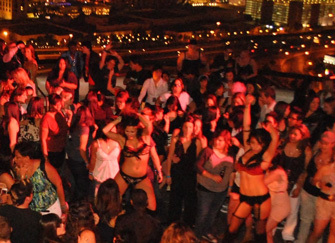 Las Vegas may have once been a city that thrived on alcohol, loud music, and half naked women, but there seems to be a change coming on the horizon. 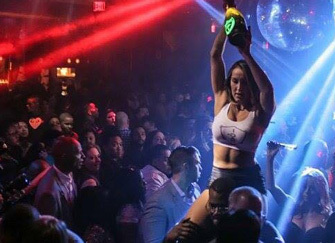 Clubs that cater to a more sophisticated crowd are opening up along the strip, with Hyde being one of the best to grace the city so far.